The Top 10 Songs of the 2011 – The Countdown Begins Tomorrow! 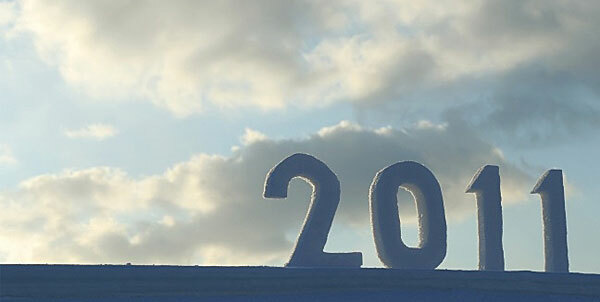 As the title of this post suggests, the top 10 songs of 2011 countdown begins tomorrow. I am pumped. Last year was the first time I counted down the top 10 songs of the year (the previous year I did a decade in rock round-up poll – “Smooth” took the crown of best rock song of the 2000-2009 decade, but I chose “Devils and Dust” by Bruce Springsteen and I defended that choice here). I had an excellent time compiling the top 10 songs of the year and profiling each of them in a daily (except Sunday) format. Every post category takes a back seat to this countdown. Interestingly, but not surprisingly (I guess then it really isn’t that interesting), it was quite tough to put together this list. Before I did my research, I had a preconception that this year in music was weaker than 2010. While 2010 saw such releases as “Home” and “King of Spain,” 2011 has songs like – NOPE! You are going to have to wait for the top 10. Patience is a virtue. Inevitably, though, some songs missed the top 10 list by a smidgen. Last year I did a top 11, but, come on, that’s just an excuse for not being able to choose. This year I got the list down to 10 excellent songs ranging from electro-psychedelic to jazzy throwback (only clue I am giving out). But like I said some songs missed the cut. I am going to post these songs with a brief statement in this semi-preview post. And, as you will see, these are strong songs and, given some more time to think about the list, one or two of them may have been on it. Remember, this list of 10 is completely based on my personal discretion. Yes, I admit, I am not a fan of most rap. I tend to favor Indie/Rock. These genre preferences do impact my decision making. If you think that Nicki Minaj’s “Super Bass” is the song of the year, you will most likely dislike this list. I am not discounting the song. It is #1 on many end-of-the-year lists and an enjoyable song for individuals with different musical inclinations. I do, however, urge you to follow this list. There are some gems that are universally enjoyable – in my opinion of course. If you want a little basis on how this is done please take a look at last year’s Rundown where I outlined the entire 2010 countdown. Now, on to the songs that missed the cut. “Shell Games” by Bright Eyes is track two on The People’s Key, which was released in February of 2011. Bright Eyes, of course, is the brainchild of singer/songwriter extraordinaire Conor Oberst. The album, Bright Eyes’ eighth, was the definition of a solid release. The best song on it is “Shell Games,” a fast-paced lyrical tour-de-force (with even a mention to Sisyphus!). The song features a Bell X1-like 80’s style chorus, staccato piano chords, and Oberst’s passionate voice. Well done. I’m grouping these two songs together because I share similar feelings for both. Supposing I had a little more time with these songs and their respective new albums, they both may have found a way onto the list. These singles are classic releases for both of the bands and both songs are good. I enjoy them both. They are just not top 10 worthy, in my opinion. If I was doing top 10 albums of the year, though, both of these new releases would have found there way onto that list. Good songs all, looking forward to your posts.